Thanks to searing temperatures and unusually dry conditions, the summer of 2018 saw a rash of devastating fires across the globe. In California alone, wildfires have burned more than 1 million acres so far. And in years to come, expect massive fires to erupt even more frequently. By one estimate, giant fires are occurring five times more often than in the past. Advanced IoT and telemetry technology, however, are powerful new tools for monitoring fire dangers and helping crews respond to outbreaks, and rapidly changing weather conditions, in real time. Keeping that tech fine-tuned and functional requires the ingenuity and determination of teams of resourceful service technicians. 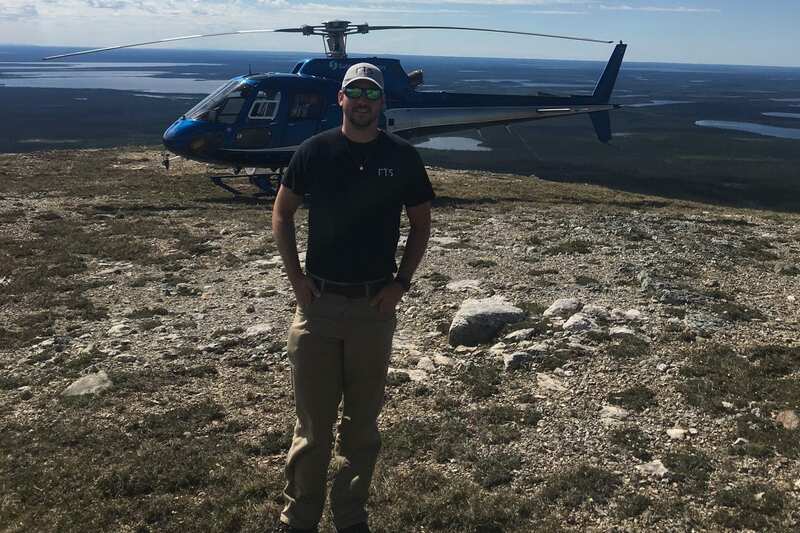 Firefighting crews battling wildfires on the front lines need the latest environmental data to ensure their success, and Forest Technology Systems (FTS), a Vancouver Island-based company, helps provide it through a network of remote automated weather stations spread across North America. Data from the roughly 2,400 remote weather stations across the U.S. is transmitted via satellite uplink to the National Weather Service. By monitoring humidity, precipitation, solar radiation and other conditions, these weather stations help government agencies such as the U.S. Forest Service and CalFire rate fire danger, predict fire behavior and deploy resources to combat forest fires. In addition to its year-round weather stations , FTS provides its customers with quick-deploy portable weather stations that can be set up by one person in 15 minutes to monitor a controlled burn or the minute-by-minute fluctuations of a dangerous wildfire. “If you’ve ever driven down the highway and have seen one of the roadside signs that indicate fire danger according to color — green, yellow, orange and red — data from an FTS weather station helped determine the rating,” says Zoë Fyfe, senior product manager at FTS. According to federal regulations, each remote weather station’s sensors and instrumentation must be maintained once a year to ensure accurate data monitoring, no matter where they may be located. That’s where Jeremy Lichtenfeld, FTS’s service manager, and his stalwart field technicians come in. Lichtenfeld says FTS service techs typically travel in teams of two or three when installing or maintaining remote installations. Some of the occupational hazards the technicians have to deal with include encounters with alligators, rattlesnakes, bears and mountain lions, as well as toiling in extreme heat. Typically, Lichtenfeld says, teams can fit all the tools, replacement parts and first aid they need in a 4X4, but they sometimes need to use a helicopter when they have to actually install new devices, such as the 20-foot mast that is an integral part of a weather station.”Slinging equipment under a helicopter can get really expensive,” he says. Besides its stationary and quick-deploy weather stations, FTS has also developed a new camera-equipped “remote automated observations system,” or RAOS, that takes advantage of cellular networks, when available, or two-way connectivity offered by the Broadband Global Area Network. Fyfe says advanced environmental monitoring is helping officials make decisions more quickly, especially at the interface of forests and human settlement, where fires can be especially destructive. One problem, according to Fyfe: Different organizations tend to gather their own data without coordinating how to share it, making decision-making difficult. But she expects that in the future that will change.